Landing pages are 50% of the equation...and we have the formula to prove it. Landing pages complete the equation for the PPC Campaigns. We can create custom PPC landing pages for your business. PPC isn’t just about great traffic, and we have the formula to prove it time and time again. Proper PPC landing pages are only 50% of the equation. What’s the point in sending amazing PPC traffic to a page that’s just going to scare users away. 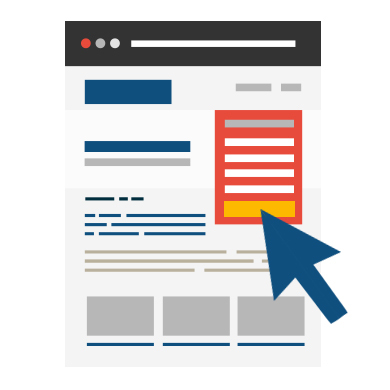 100% of our focus is PPC, and you better believe that landing pages are a big part of it. We have a team of designers that can create you a custom landing page for your PPC account that will knock your socks off. Of course we would love to work on your PPC accounts too, but if you are in need of a landing page only, you’ve come to the right spot. Unbounce.com is the world’s leading SEM and PPC landing page tool. We’re honored to be partnered with Unbounce as a certified PPC agency partner. They also recognize us as a leader in our industry and we’re been featured on their blog as people doing landing pages the right way. We’re also featured as a PPC agency that used Unbouce.com the right way with customers. We are 100% transparent with our pricing, what we use and how we setup your pages. You can see us on the Unbounce.com website in the e-learning program. Great! Please reach out to us so we can have a chat about getting you set up and increasing your leads and sales today. View some of our latest landing pages on your desktop, tablet or mobile device. "We needed more leads, and boy did we get them! Thousands of quality leads, more than we ever thought we could get!" Drove high targeted traffic to help increase online sales. 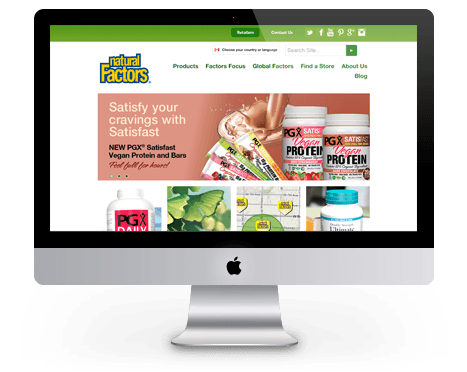 Natural Factors is Canada’s leader in the development, formulation and manufacture of nutritional supplements for the natural health store market. Titian PPC was brought on to promote and advertise several of Natural Factors brands including health books, supplements and vitamins for both men and women.